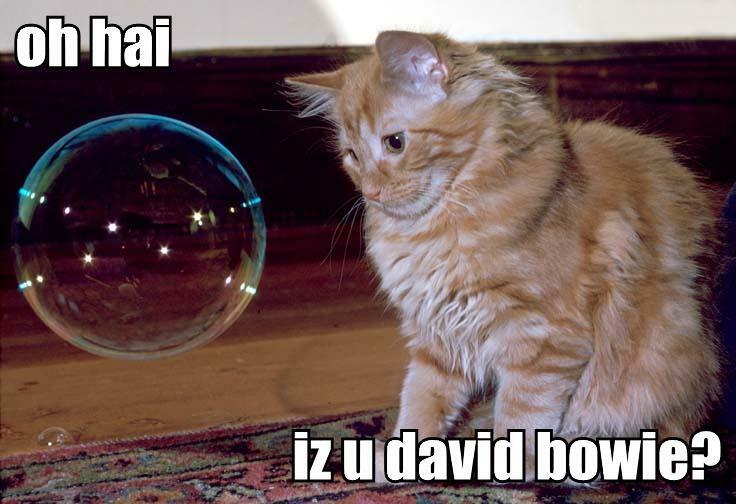 CrackedActor.com – a David Bowie fan site » Blog Archive » Whither the David Bowie? This entry was posted on Thursday, December 18th, 2008 at 7:19 pm	and is filed under Opinions. You can follow any responses to this entry through the RSS 2.0 feed. Both comments and pings are currently closed. This may constitute news and another name-check: Kenneth Turan, in his review of “The Day The Earth Stood Still” reached all the way back to Bowie in “The Man Who Fell To Earth” to find a a performance as affectless as Keanu Reeves’s. This was not a criticism (I think). The next day, coincidentally, the Criterion Collection announced that the first four releases of their long-awaited Blu-Ray series would include…wait for it…”The Man Who Fell To Earth.” So if you need a really hi-def version of that film, with Criterion’s usual thorough documentation, it can now be yours. I live a faily low-def life, but it’s nice to know that if I’m willing to invest the ten long it would take to upgrade my media center, I can have it. I do wonder if Mr. Bowie has entered the Witness Protection Program. What did he see? It seems like Mr. Turan might have missed something in his reach for a name-drop. I’m fairly sure that Bowie’s performance was supposed to be affectless, but Keanu is just affectless in general. They should have cast him as Gort instead of Klaatu in The Day The Earth Stood Still. Maybe I will do a posting about the new Blu-Ray. It seemed like a More Crap To Own type of thing, but I need something to right about! Going crazy! Madness is indeed afoot, but enough about my family. Where I disagree with Mr. Turan is that Bowie’s performance is subtle, but not unemotional…the character’s forced humanizing is the point of the story, and the cause of his tragic failure. There are some scenes where Mr. Bowie isn’t doing much, but the result is almost unexpressably sad (I should probably note for the record that this movie is the rabbit hole I fell down, so it’s nice that people are bringing it up). And as for Mr. Reeves: he’s a video game character brought to life…which probably explains everything. Agreed on Reeves – he is terrible in almost every movie he’s in! (Though that apparently hasn’t stopped me from watching his movies.) He was at his best in The Matrix…which isn’t saying much. In Bram Stoker’s Dracula he was stupefyingly bad. Last time we watched it the Webmaster commented that Reeves’ accent sounded like he was in a 10th grade drama department production of Dracula. Good thing Gary Oldman was around to save the movie and Anthony Hopkins was there to provide some comic relief, otherwise the whole thing would have been unwatchable.